Ugh! It’s going to be a hot day in L.A.! For starters, today is the summer solstice, the longest day of the year. We’re going to get 15 hours of sunshine. With temperatures of 110 degrees or more predicted, it could be a day of record-breaking heat. Dogs and heat can be a fatal mix. I’m rethinking our routines before taking Spike outdoors today. A few changes in routine can make a huge difference in a dog’s safety and comfort. 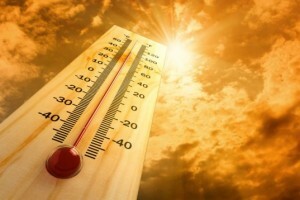 Here are some tips for fighting summer heat. Walk earlier in the morning or later at night. We walk at 6:30 a.m. these days, a good hour earlier than we did a few weeks ago. Even so, it’s nearly 80 degrees when we head out. In the evenings, we wait until sunset. Carry water and a bowl. Dogs pant to cool off and easily can get dehydrated — especially when humidity is as low as it has been lately. I’ve started carrying a water bottle in a sling with a small, collapsing Dexas bowl. Dexas makes bowls with straps to attach to water bottles or carabiners to attach the bowl to a belt, bag or leash. I prefer the small ones because there’s less water wasted when Spike drinks his fill. 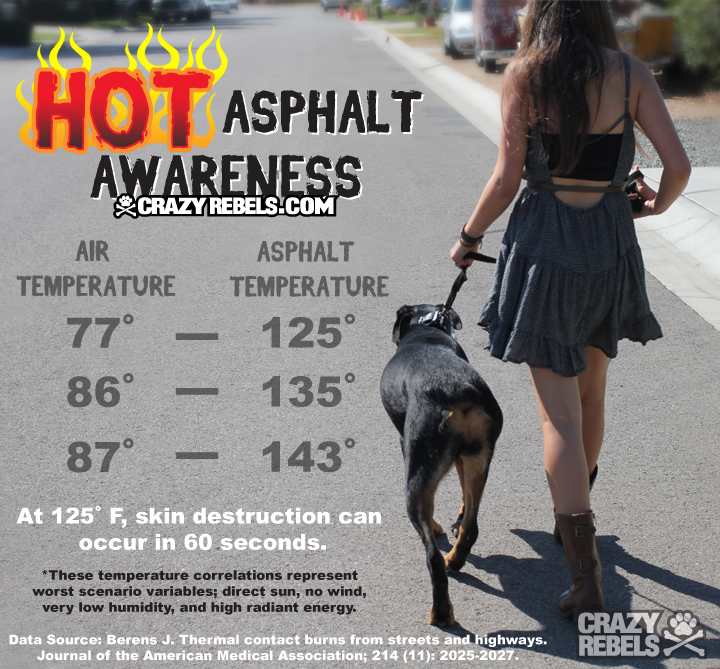 Avoid sun-baked sidewalks and streets. We walk on the shady side of the sidewalk or street as much as possible when crossing the street. For midday comfort and necessity walks, Spike and I stick to the grass. Take note: the artificial grass used on some parkways and medians heats up to painful temperatures. It may be a totally L.A. thing — but not an absurd one — to drive your dog to a park or somewhere that is shaded with trees on days like today. Tie on a wet bandana or cooling collar. Our humidity is so low that evaporation really has a cooling effect for a dog. That also means that the bandana can dry out quickly, which is another good reason to carry water with you. KoolCollar makes an ingenious collar that can be filled with ice cubes or ice packs. The ice cubes melt and drip out of the collar onto the dog’s chest, where there is a dense supply of blood vessels. The ice packs don’t drip but cool the dog’s major arteries and neck muscles. Never leave a dog in a car on a hot day. I love taking my dog wherever and whenever I possibly can. But summer is stay-at-home season — unless I can take Spike inside with me. There just is no safe way to have a dog in a car on a sunny day. You can roll down windows, but you are taking the risk that the dog or the car — or both will be stolen. I take Spike with me when we’re going to pet friendly stores, restaurants with outdoor seating or when I have a friend with me to watch out for his safety with the car windows open and the car parked in the shade. Know the signs of heat stroke. These include heavy panting, heavy drooling, red gums and tongue, rapid or irregular heart beats, breathing distress, vomiting blood, confusion or seizures, muscle tremors or a wobbly, uncoordinated gait. Heat stroke requires immediate veterinary attention. By the time some of these symptoms appear, there may be permanent organ damage for the dog. Summer can be a fun season for enjoying your dog. 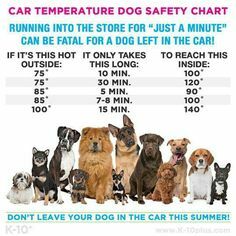 High heat and dogs can be a tragic and fatal combination if you don’t take good care of your best friends when temperatures soar.